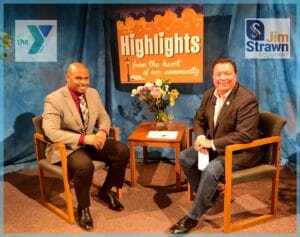 The show airing April 9, 2018 – April 16, 2018 ‘highlights’ WV Coalition Against Domestic Violence and YMCA of Kanawha Valley. 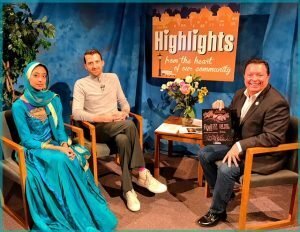 We interviewed Christopher Vincent and Fara Maraikayer about a fundraising event for the WV CADV. 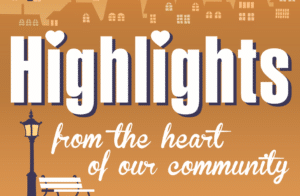 The event, Light the Night, is schedule for April 20, 2018 from 6-11:00 p.m. at the Women’s Club of Charleston. This event will raise money for the Empowerment Fund, providing transitional assistance for domestic violence victims and survivors in order to promote a non-violent lifestyle. Since the Empowerment Fund was established in 2009, over 142 individuals and families in West Virginia have received more than $39,600 in benefits. These benefits vary from providing clothes for children in need to assisting with car repairs and tires so that survivors can have transportation to and from work in their new beginning. The Empowerment Fund has also helped many victims and survivors with furthering their education by purchasing textbooks and other school necessities. Proceeds from this event are given directly to victims and survivors through the Empowerment Fund. The mission of the West Virginia Coalition Against Domestic Violence is to end personal and institutional violence in the lives of women, children and men. WVCADV works to transform social, cultural, and political attitudes through public awareness, policy development, community organizing, education and advocacy in ways that promote values of respect, mutuality, accountability and non-violence in local, statewide, national and global communities. The event promises to be very entertaining with various music, dancing and auction items. Tickets are pre-sold for $15, while at the door price is $20. We also interviewed Avon Cobourne, Business Development, YMCA of Kanawha Valley. Avon gave us an update on the recent renovations the YMCA is going through. Then we discussed the upcoming Healthy Kids Day set for April 20, 2018 at the YMCA from 5-7:00 p.m. The event is FREE to the public and all children and parents are encouraged to attend. The annual event is a nationwide-initiative to improve the health and well-being of kids and families. When a child is healthy, happy, motivated and excited, amazing things are bound to happen! Healthy Kids Day is a powerful reminder not to let children idle away their summer days but instead, focus on physical and mental play. Avon also urged organizations/companies to serve as a vendor and if interested to contact him at 304-340-3527.